I love Southern Food but I'm too lazy to cook it on my own. So I was excited when I heard Mr. C's Fried Chicken & Waffles was opening nearby. They make southern food! It's a small restaurant, so I recommend going when they first open. We went during the week when it wasn't overly crowded, but I know on weekends they can get incredibly busy. It opens at 1030 AM during the week, and 8 AM on the weekends. There were so many amazing options. I know most people would be like, "I'm totally getting the chicken and waffles!" but other things were tempting me. I loved that the drinks were served in mason jars. I tried out their sweet tea, and it was perfect. Sometimes places make their tea too sweet or barely sweet at all. This had a wonderful balance. 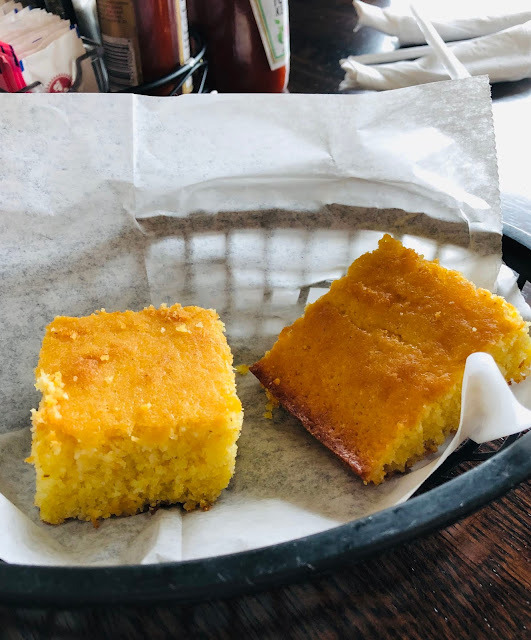 Everyone gets cornbread! I believe it was honey cornbread because it was sweet, and the butter paired wonderfully. I wanted more, actually, but I was all, "Amber, let's not gorge yourself." Plus, we tried out the Fried Chicken Skins appetizer, so I had to make room. I absolutely loved these chicken skins. They were seasoned well, plus the gravy made them taste extra amazing. I ate so many of these. My husband stopped after a few bites and I was like, "Hello? Help me eat these," and he said he was getting full. I was too, actually. But they were SO GOOD. 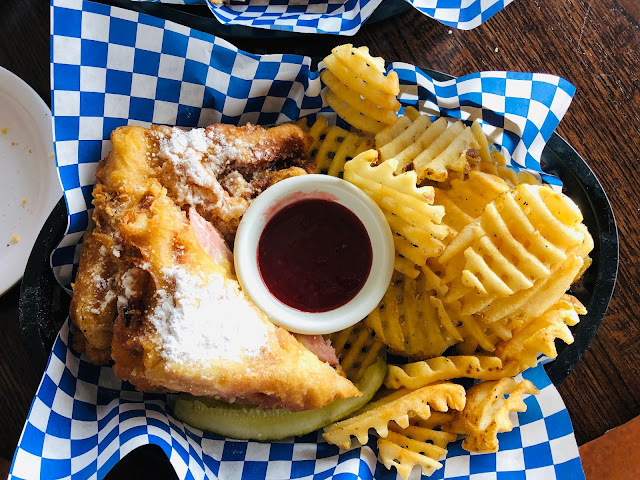 That would be a Monte Cristo sandwich. For those who don't know, it's basically a fried ham and cheese sandwich. Topped with powdered sugar and accompanied with a raspberry sauce. The ham and cheese on the sandwich was spectacular. You always worry you'll get a cheap cut of ham, but no, this was quality ham. It wasn't overcooked either. The waffle fries that came with it barely got eaten, I won't lie. There really wasn't much room left in my stomach for them. He can be quite picky, but he liked it. I tried a bite, and the cheeses tasted fabulous. I really should start making mac and cheese like this at home, but again, I'm rather lazy in the kitchen. There are also desserts, but we were full, so we skipped them. But next time, maybe. I mean, look at that chocolate cake! 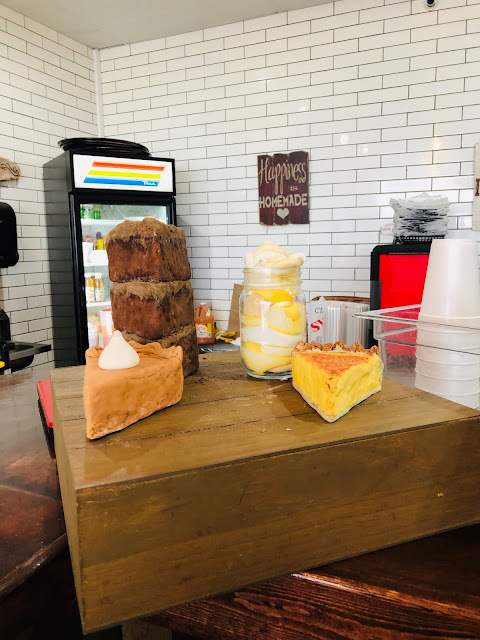 There are also cobblers, pies, and banana pudding. I also loved that you could get To Go drinks. I always do this because I feel like I get my money's worth for my drink. 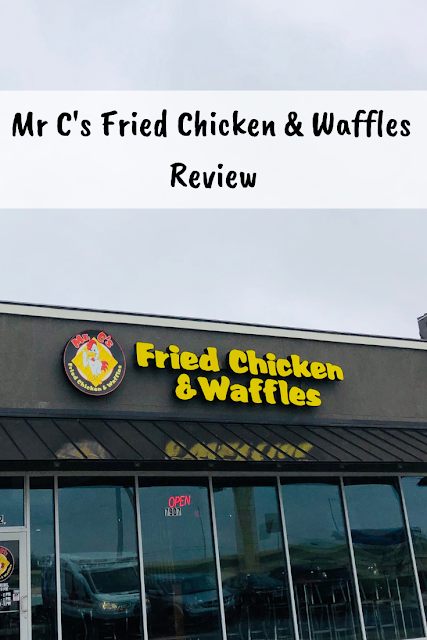 We will definitely be back because I need to try the chicken & waffles. I recommend trying this place out. Remember: go with an empty stomach, because there is tons of amazing food to try! 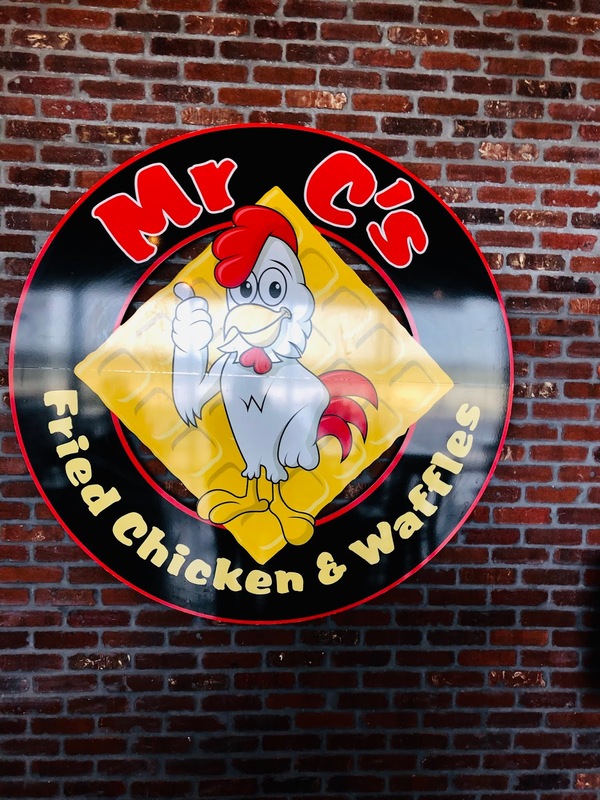 To learn more about Mr. C's Fried Chicken & Waffles, you can check them out on Facebook and Instagram! Is this a sponsored post because you are thorough in your review. any big thump to your work. Nope! We paid our own money ;) If it were sponsored, I'd have to disclose it. Look at all that amazing comfort food. I just kept getting hungrier and hungrier scrolling down through your photos. 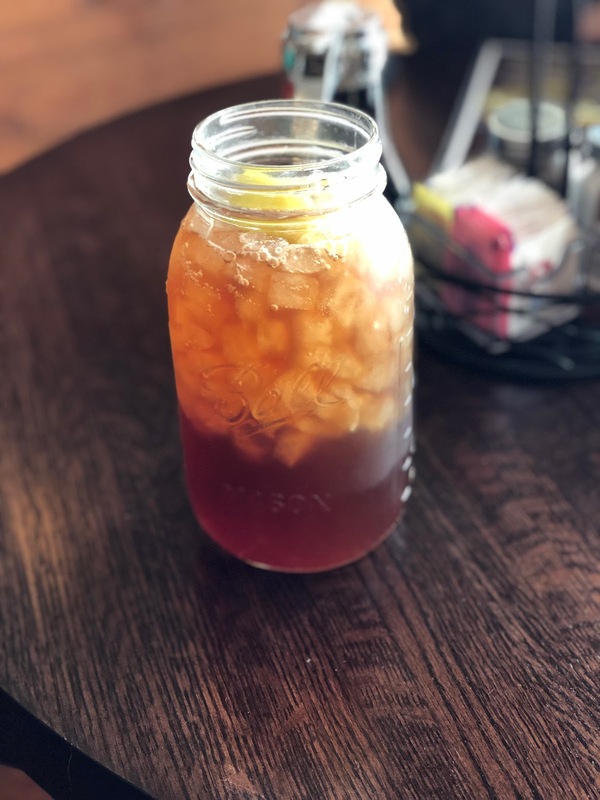 That iced tea looks so good in the Mason jar, that's how we grew up drinking it here in Georgia. Everything looks good especially the chicken. I'll have to check this place out the next time I'm in the area. My kind of food and setting. Your photos are making me hungry! 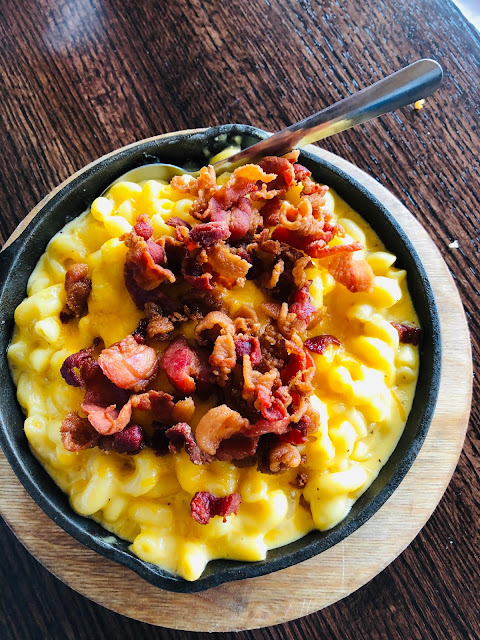 That Mac & Cheese looks scrumptious. 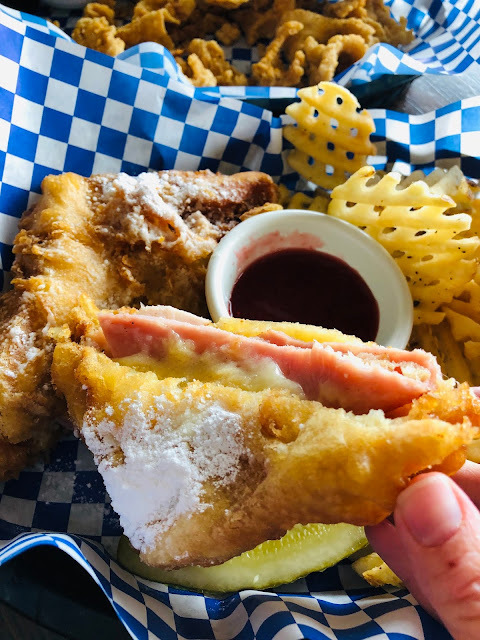 My son-in-law loves a good Monte Cristo and that one looks delicious. Welp, I'm officially drooling. This place look amazing! Being a southern girl, this kind of food just melts my heart. I love it!!!!!!! This all looks so delicious and the pictures are making me hungry. 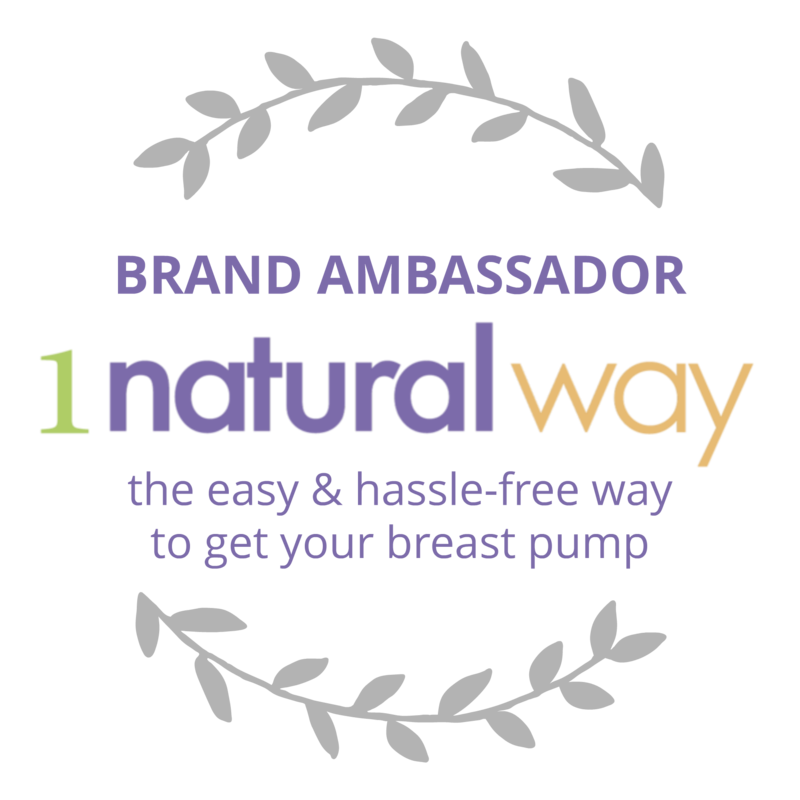 Thanks for sharing this wonderful review. All of your food looks amazing. I would love to try this place out when I visit Texas. I tried chicken and waffles for the first time last year and loved it. Well, I'm officially starving now! That Monte Cristo looks incredible, I've never had one. I like that they brought the drinks in mason jars, nice touch. 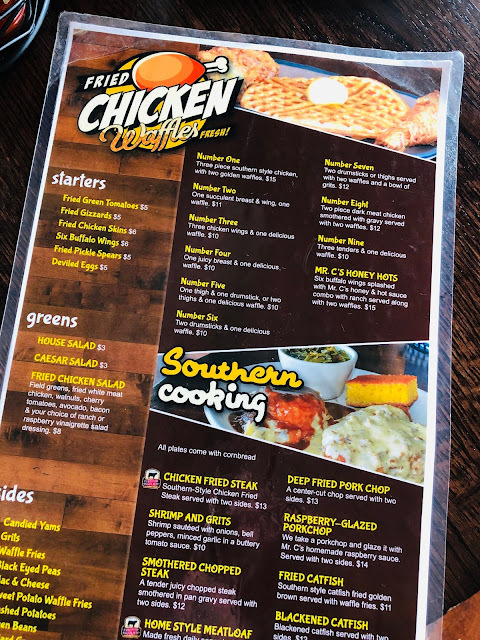 I don't live in the area, but now I'm going to have to find a southern food restaurant near me! That honestly looks like a place I would drive by and not think much about but that would clearly be a big mistake. Your photos really show off comfort food that I am now craving! All that food looks delicious. I am a big fan of southern food and chicken and waffles is one of my favorites, but that monte Cristo looks really good. OK now this looks like the place to go for a meal. What a different range of food and even the drinks sound so much fun! omg these made me drool, literally!!! I am so hungry now. I love southern cuisine. Thanks a lot for sharing. All of the dishes look amaze-balls and I'm sure it was a stick-to-your-ribs experience. I love southern food (but I am a pescatarian). So glad you posted the menu because I could definitely go for shrimp and grits! 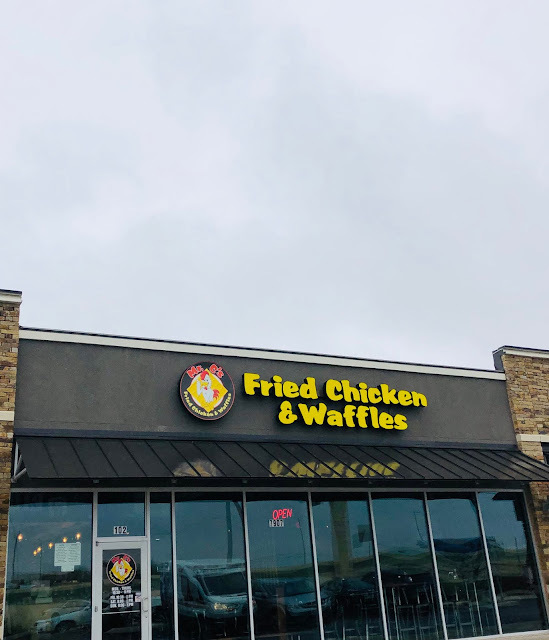 Wow, I have never tried chicken waffles but looking at your pictures make me wanted to try out so much, the drinks are amazing and refreshing too. I hope they come to have a franchise here. I don't think I've ever had chicken and waffles before. I'm not sure why. It sounds great! Ok, I am freaking drooling here! Those chicken skins, that mac and cheese yum yum yum! 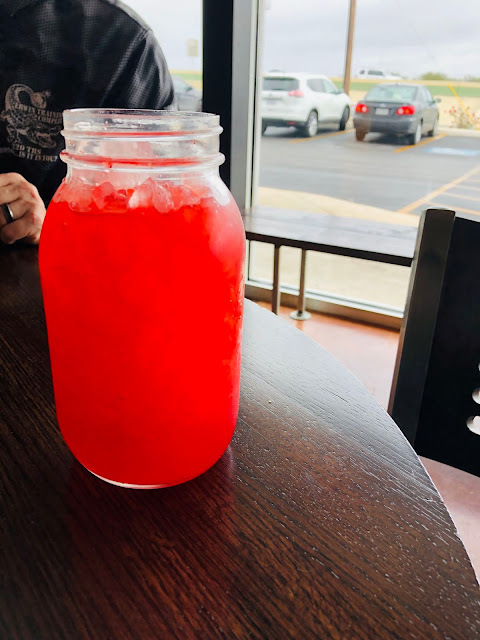 I also love when drinks are served in mason jars! 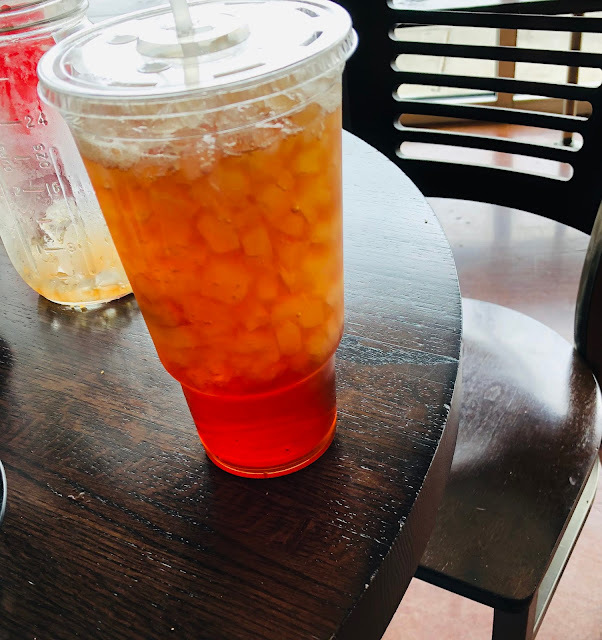 At 60 I am just now becoming an iced tea fan. It is one of the few things that really quenches my thirst. I haven't ordered it at a restaurant yet, though. Wow, that looks like a nice place to go with my family. Everything are so delicious and I am sure my kids will definitely enjoy eating them. Yummmy! Ahh, that chicken skin is to die for!! That's the best part of the chicken for me, haha! Oh my goodness! How good this food looks! A must try for sure! Wow, this all looks amazing! It's early in the morning here, but now I'm starving. Will definitely have to try those chicken skins! 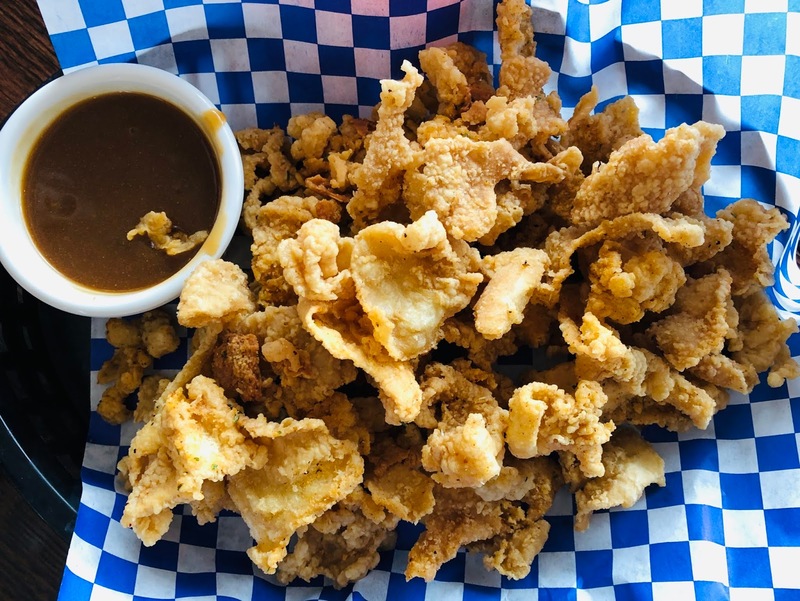 That chicken skin appetizers reminds me of the chicharon I had back in the day. I would like to try that! The mac and cheese makes me drool! Everything looks so delicious! I'm a southern girl through and through...TN born and raised. This entire post made my mouth water as it has some of my favorites. Macaroni and cheese and sweet tea is a WHOLE meal for me. Oh, and fried chicken skins is the perfect appetizer, lol. I LOVE me some chicken and waffles! Such a great combo!! Also- that Kool-Aid looks delicious! Holy crap, that looks like one delicious place. Definitely a place that's right up my alley. OMG! That cornbread looks so yummy! And the grilled cheese sandwich! You don't need dessert when you get to eat like that! Everything looks delicious! That cornbread though OMG!